Wilson: 28 goals isn't bad, but I wanted 30! 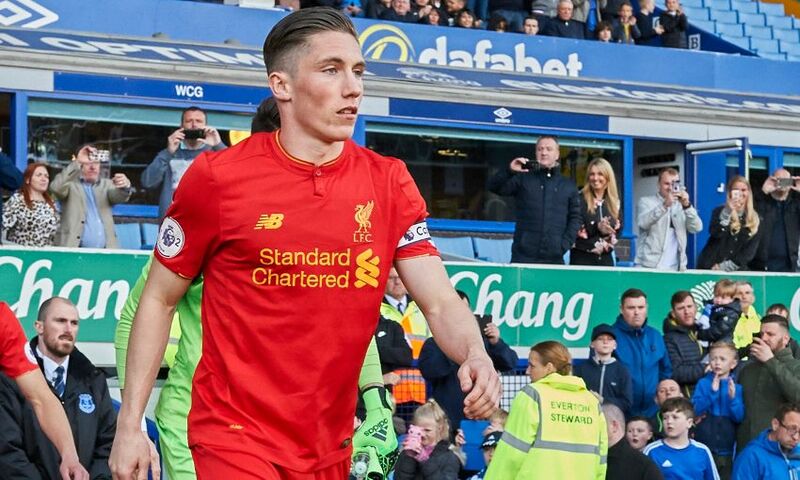 A first-team debut, a full-time move to Melwood and 28 goals at Academy level - 2016-17 has been a season to remember for Liverpool prospect Harry Wilson. But, incredibly, the 20-year-old still harbours one regret at the end of a remarkable campaign: that he didn't score 30 times! After enduring an injury-hit 2015-16 campaign, Wilson has thrived this term with the added responsibility of being named U23s captain, leading from the front as the Reds claimed a third-placed finish in Premier League 2. Alongside clocking up his incredible goal tally, the winger also provided countless assists, and his form was rewarded when Jürgen Klopp handed him a senior bow as a substitute during an FA Cup meeting with Plymouth Argyle in January. Wilson was subsequently named on a Premier League bench for the first time during the 2-1 win over Burnley at Anfield in March. However, when asked to reflect on his season, the ambitious attacker preferred to pick out areas for improvement, rather than pat himself on the back. He told Liverpoolfc.com: “I was a little bit disappointed not to get to the 30 mark, but at the beginning of the season my goal was to just help this team and play well and I feel I have done that. “I wanted to come back strong this season and play as many games as I could, stay fit and show everyone what I can do. Wilson has been based at the club's first-team training facility at Melwood in recent months, working alongside the likes of Adam Lallana and Philippe Coutinho and in front of Klopp on a daily basis. And the Wrexham-born flyer believes competing with the stars who represent the Reds' senior side can only help him improve. He added: “It's great. I've been up at Melwood for a good few months now and some of the things I am learning every day have been massive, and it has helped me as a person and as a player. The U23s rounded off their season with a 2-1 win over Premier League 2 champions Everton at Goodison Park earlier this month. Wilson believes his teammates and the Academy coaching staff deserve a lot of credit for what has been an encouraging 2016-17 campaign. “It was a nice way to finish the season at U23 level beating Everton at Goodison Park,” he said. “I think it has been a good season for all of us if you look at where we have come from since the start of the season. “We started off with two disappointing results against Southampton and Chelsea but as the season went on we kept our style, we kept the way we played, and we got some good results.